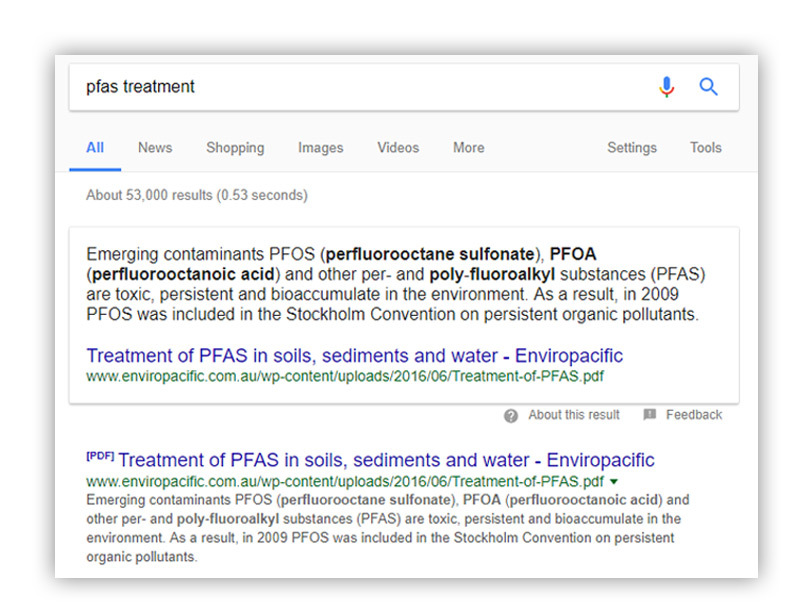 EnviroPacific handled their own Google AdWords campaigns and Search Engine Optimisation. They originally contacted us to receive a free online audit. Our audit revealed many issues with their website that could be addressed to yield a good result. On page SEO issues; the website wasn’t built in a way that made it easy for Google to understand and therefore was affecting its ranking in search engines. AdWords campaign had not been optimised for the best performance; unnecessary money was being spent. There was no security certificate installed on the hosting making the website susceptible to cyberattacks and also means it may not display on all browsers. 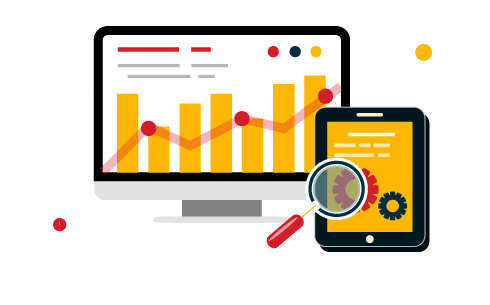 We did all standard on page SEO practices such as adjust keyword density, correct use of meta tags, meta descriptions and SEO titles, included internal linking on the website and preformed data mark ups. This all made it easy for the Google Algorithm to understand what the website was about and therefore improved its ranking. 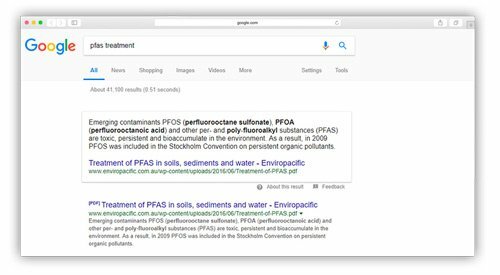 This got EnviroPacific ranking in the first place for the search phrase ‘PFAS Treatement’ which was a priority for their business. The first thing we did was optimise the website so it would load faster. We did this by using a number of techniques. Firstly, we optimised all the website images for the website. The images used on the website were high resolution and approximately 5mb, loading all these images would take a long time. By optimising the images, we were able to reduce the size of an image to around the 110kb, the visual quality of the images did not change. To increase the speed, we also enabled website caching, minified HTML & CSS code, enabled compression and reduce server response times. After the speed optimisation was performed, the website loaded in less than half the time. 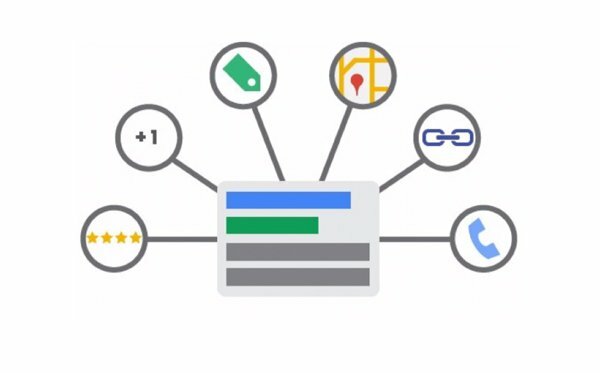 We removed keywords from the AdWords campaign that resulted in low quality traffic. We determined low quality traffic as users that didn’t visit the contact us page. We also improved the quality score of the Ads which resulted in decreasing the amount spent. We were able to halve their monthly AdWords spend but keep the quality traffic.